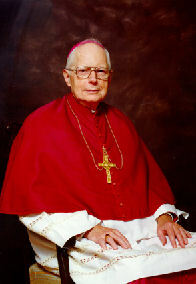 Most Reverend Thomas J. Welsh, D.D., J.C.D. Winter 2009 newsletter has been added. "Audio & Video" section added. Video clip added to Video section. Mother Marija Shields, OCD "Memories of Fr. Ciszek"
New Father Walter Ciszek Prayer League Website Officially Launched!!! ALL sections are fully operational!!! New Father Walter Ciszek Prayer League Website Launched!!! "Memories & Testimonials" and "Prayer Requests" sections are still under construction!! !